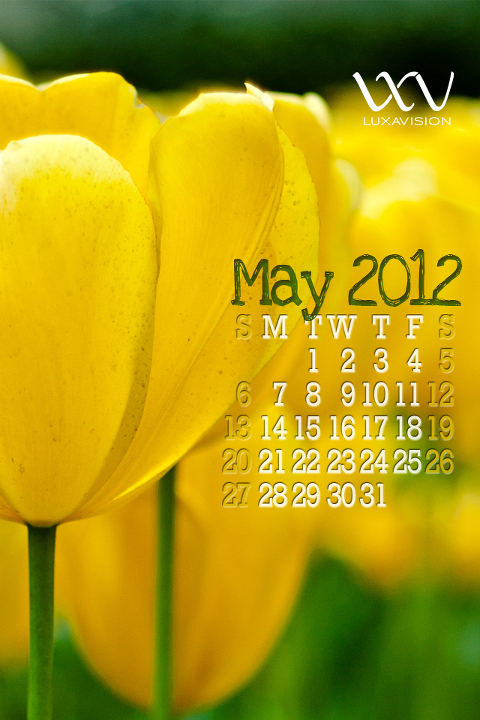 Free Desktop Calendar Wallpaper for May 2012 | Yellow Tulips » LuxaVision Photography Inc. 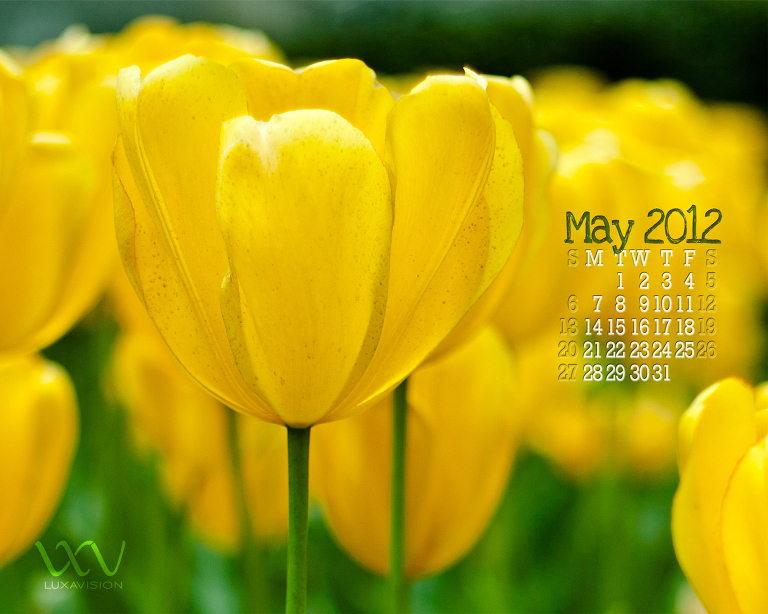 This is the desktop calendar wallpaper for the month of May 2012 which a picture of yellow tulips. I thought it was appropriate for May because of the changing weather and when tulips bloom, it is a sign of spring for they are spring blooming perennials. I love how tulips are so minimalistic in that there is only one flower per stem. I find beauty in the smooth and clean lines of a tulip. May is my birth month and also is a month of changing warm weather which leads us to the summer months. iPhone Size 640×960 – The picture below is the iPhone desktop calendar wallpaper. Just tap and hold, then save in to your photos folder. Since Facebook has changed to Timeline, they have a new feature called Facebook Cover which is like your own personalized banner for your profile or page. The idea came to me that I should make a Facebook Cover calendar for I use FaceBook daily and it would save me time from looking for a calendar. If you haven’t added your FaceBook Cover, you can now download it today! I hope you like this month’s freebie – May 2012 Desktop Calendar Wall Paper! Come back next month for June 2012 Desktop Calendar Wall Paper. If you would like to purchase this May 2012 desktop calendar wall paper as a photo without text or logos,please e-mail liza@luxavision.com for more details. Don’t forget to add us on FaceBook for the latest updates to our Freebies and calendars!